When I first as the title of this article, I thought it was going to be a comical parody on how wives (YLs*) of Ham radio operators (OMs*) viewed their husbands' hobby. It turned out to be a report on a nationwide survey. 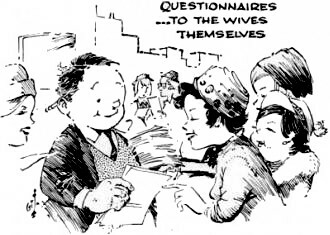 Many of wives of Hams were themselves licensed operators which, at the time, required Morse code proficiency in addition to radio theory and regulations. In 1966 the average cost of a Ham shack layout was about $1,000, which is equivalent to $7,518 in 2017 dollars according to the Bureau of Labor Statistics' Inflation Calculator. As with most electronics equipment, the quality and features have evolved significantly in the intervening decades, so you get a lot more capability for your investment today. If you believe the author presents result honestly, the general attitude was that wives would rather have their hubbies engaged in an educational at home or with like-minded men than at a bar or sporting event. A majority also thought that spending on Ham equipment activities was not at the expense of essential family needs. BTW, I'm scheduled to take the exam for my Amateur Extra Class license on Saturday, April 8, at the Wattsburg Wireless Association (of which I am a member) meeting hall. I'm trying to decide on a new call sign of the format reserved for this level. Have you ever considered the possibility that your wife may be less than enthusiastic about your ham radio interests? That she may be negatively inclined towards it because of its costs or the amount of time you spend at it instead of on family activities? Surely you've heard some XYLs comment unfavorably on some phase of our hobby, even bitterly at times, and it may have set you to wondering whether you are keeping ham radio in its proper perspective in your home. If so, you are not alone. The thought occurred to the writer that it might prove illuminating and beneficial to many hams to find out generally what wives think about our hobby so that individually we could, perhaps, better understand the female point of view and thus not lose sight of perspective. Are the complaints heard isolated examples one would expect of any hobby, or do they represent a general undercurrent of feminine resentment against amateur radio? The best way of finding out was to conduct a survey of those most qualified to pass judgment - the wives themselves! A questionnaire was prepared and sent out to wives of hams in every state in proportion to state population and about equally divided between those living in metropolitan centers and those from rural areas. 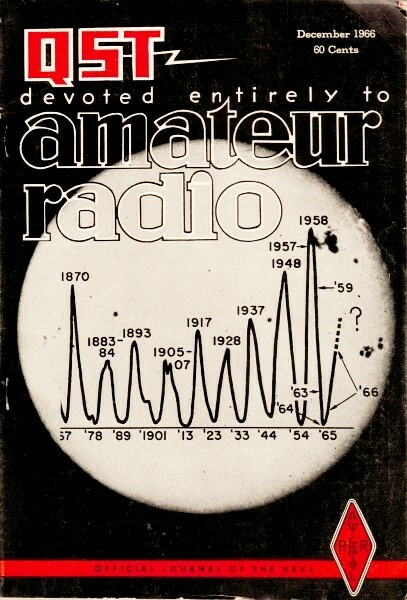 Three aspects of ham radio were considered prime subjects for inquiry, namely: 1. Cost 2. Amount of Operating Time 3. The Content of The OM's Contacts. The responders were asked to check off one of several statements (ranging from good to bad) which came closest to representing their views on these major topics. Additional information was requested such as value of station, whether the OM's antennas disfigured the home, and how the OM spends his operating time; i.e., rag-chewing, DXing, traffic handling, emergency communications or experimenting. Each recipient was encouraged to submit any additional information she wished and to go into detail beyond the scope of the questionnaire proper. Before the returns began coming in, it was assumed that a goodly percentage of the XYLs would relish this convenient opportunity to strike back at ham radio if they harbored but the slightest antagonism, so it was only normal to anticipate a wide diversity of opinion. It was hoped, however, that the composite opinion would be preponderantly one-sided and not about equally balanced for and against ham radio, since in the latter case the poll taker's personal views could tend to color the picture he reports. 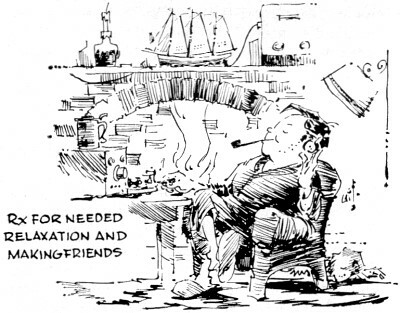 Well, fellow OMs, most of you can begin to relax, for you may not have known up to now just how grateful most wives are that you have and enjoy such a wonderful hobby as amateur radio! 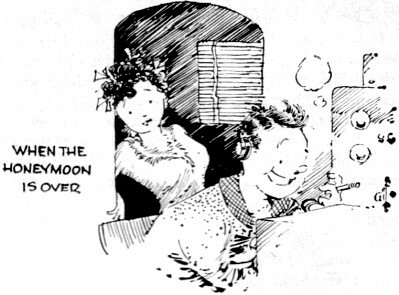 Collectively this is exactly what they say, and they say it with undisguised enthusiasm! Given their chance to take pot shots at our hobby, they rejected this avenue of reply beyond doubt and went out of their way, through letters, to praise it highly. Now this is not to imply that all wives think this way, for a minority do not, and some who praise it today did not always favor it as they do now. 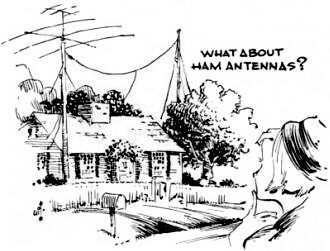 A legitimate problem area exists or can exist in some households where ham radio is an invisible yet most real "third party" for the wife to contend with. Let's take a look in detail at what our wives have to say. One would think that the monies spent by OMs on gear could be a source of friction in many households. Probably because of the maturity of most hams, this simply isn't so. The wives report overwhelmingly that these investments are kept within reasonable bounds, even though the average station outlay reported is close to $1000 (ranging from $200 to $3000). Some 86% of them felt the OM spends only what the family can afford and only after other obligations are met. 10% thought the purchases are kept within reason even though the OM has a tendency to overlook other obligations at times. Only 4% feel the husband spends more than the wife believes should be spent, and there was not a single instance (0%) reported where the OM spends money badly needed for family matters. There just doesn't appear to be an issue on this aspect of ham radio. The few comments made were all favorable. Missouri - "When an operator's children are young and still at home I feel that after church activities, lodge meetings, Boy Scout business and other outside obligations are taken care of, the little extra time left need not be spent with the children. When the OM is operating its o.k." Illinois - "I think my husband's ham radio is very interesting, It gives him a lot of pleasure, and I appreciate having him home so much rather than having him gone all the time for bowling or some other such activity, I don't always understand what he is doing, but I enjoy seeing his engrossed enthusiasm when he is building equipment or operating on the air." Nebraska - "My dad is retired and also a ham. He cannot afford much, but put his rig together and has a ball with it. I really love the guy who started this hobby. My dad spends all his time at it. If it weren't for this hobby, I can't imagine how he'd spend his time. This way he has no time to think of ever ailing! As for my husband, I would much rather have him home relaxing and enjoying himself than out in some bar. So if he talks all evening and is enjoying himself, he could be on all night if he wanted to. Life is too short, and if this is such a great hobby that a guy likes it enough to really delve into it, he should be able to." South Dakota - "I certainly would not object to my husband spending more time on his set. In fact I wish he could find more time for it. His job is very time consuming and he is also very active in civic affairs. Our three children and their activities keep him quite busy, I feel that hamming is a relaxing hobby for him and am very interested in his contacts. I hope that some day our kids will also become interested." Florida - "I do enjoy the contacts with friends and family and the many friends he has made on the air." Illinois - "His phone contacts deal mostly with the trivia of ham radio, yet I get considerable enjoyment from listening." Ohio - "When our children are in bed in the evening, I join my husband in his shack and enjoy listening and sometimes talking." Indiana - "Let's face it - most hams are not very interesting or informed on anything beyond equipment. Wish someone would invent a noise-squawk silencer for ham rigs, as I would appreciate less yak-yak about equipment and more rounded conversations." Ohio - "He has some interesting contacts when the people he contacts are interesting, but from my experience most hams can only talk about antennas, ham gear, etc. My husband prefers stimulating conversation but rarely raises anybody who has anything interesting to say." California - "As far as I'm concerned, the content of his on-the-air conversations are of no more concern to me than my on-the-phone conversations with my friends are to him. Personally, I believe hams could all benefit from knowing more about their fellow hams than just the history of the other fellow's rig." The great majority of wives (84%) feel that the OM's antennas do not disfigure the home. This was borne out further by the nearly complete absence of written comments on the subject. It appears that those who feel otherwise (16%) do not hold strong contrary views. An explanation for this may lie in the fact that nearly every home in America has a TV antenna, and one or two more make little additional difference. The most popular aspect of amateur radio is rag-chewing, since 80% of the wives indicated this activity on the part of the OM. Experimenting of one form or another was reported by 64% of the wives. DXing came next at 41%. with traffic handling and emergency communications work reported by 25% and 23% respectively. Many commented favorably upon the fact their husbands enjoy building some of their own gear in preference to buying it ready made. 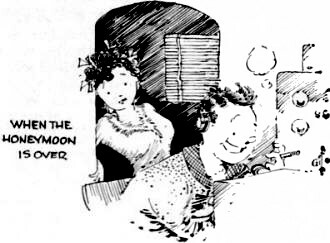 Ham radio can be a source of friction in some marriages either shortly after the OM obtains his license or, if already a ham, after the honeymoon is over. This is the period when the wife receives her first exposure to the hobby, and her reactions can be most antagonistic if she feels her husband spends too much time hamming and not enough with her. Nearly all the negative comments received relate to the period of the first few years when the wives were adjusting to the presence of ham radio in their homes. Generally it could be stated that the OM is at fault, although it should not be overlooked either that some wives (bless them) are chronic complainers and others can be as selfish in their demands as a man can be in his. Not all marriages are happy ones, either. Nevertheless, some men unquestionably go overboard on radio at the outset. Later some bring hamming into proper perspective, to the point where the wife then accepts it and often endorses it. The following excerpts indicate this problem area and the manners in which some wives have responded. Ohio - "I became interested in the hobby when my husband did. Then it developed into a disease. For the next two years his hobby was almost a "hell-on-earth." He was on the air every waking minute during the week and all day Saturday and Sunday. We never visited friends, attended movies or even left the house in those two years. His TVI problems irritated the neighbors, made him nervous and almost drove me insane. Needless to say, what interest I had in the hobby soon faded. Then, after those two miserable years, he slowed down to a reasonable pace. In fact, he gets on the air only a few times a month. I would not care if he got on more often as long as he gets his needed sleep at nights. I know a few hams' wives who have the above problem not only for two years as I had them, but as a continuous problem." New York - "My husband is an avid ham. He's worked with young hams, taught radio classes and been active in a radio club. He works hard to support us and I feel that any time he can find to "ham it up" is like frosting on a cake - enjoy it. I haven't always felt this way. I do feel, however, that if a man enjoys his radio to his family then there has to be something uninteresting in the family, and perhaps mother should look over her demands on dear old dad." Ohio - When we were first married ham radio was a constant source of friction between us. Then I found that 90% of the ham wives had no interest in radio. When my husband went to see a ham buddy, I went along instead of staying at home mad. I met the wives and made many good friends. As to resenting my husband's interest in radio, I have just the opposite reaction. Our nine year old boy seems interested in amateur radio. I encourage it, because I feel it is one of the best hobbies a man can have. More wives should join in instead of fighting it. They would find a lot of friends and a lot of fun. ot be hams, but show some interest." California - "My husband has been a licensed ham since he was 15. So one might say he is a dyed-in-the-wool operator. For this reason I have come to like amateur radio, following the well-known adage, 'If you can't fight 'em join 'em.' He is president of a mobile radio club. It is unique in that it allows the men to pursue their hobby while also being geared to please family interests at the same time. The meetings are open to women, and we have potluck dinners preceding many of them. Some wives are paid up members and a few have been elected to office. maybe if more wives were given the opportunity of belong­ing to a group of this kind, there would be fewer bitter wives throughout the country." It would be well if all husbands gave thought to the amount of time they spend hamming. Despite the warm approval given by most wives, to the 7% who feel too much time is spent on radio it can be a very real problem. At least try to learn whether your wife thinks you are guilty in this respect. It is evident that most wives are deeply con­cerned with the matter of their husbands get­ting sufficient time to relax and enjoy some sort of hobby. Their hearty approval of ham radio seems based upon their recognition that most men do work hard to support the family, usually under pressures far more taxing than those con­fronting them as housewives and mothers, and therefore they are most solicitous of the hus­band's welfare when he is home and away tem­porarily from the eroding effects of his job. Wives think of it as a worthwhile hobby, in itself quite interesting to many of them, but more so in that it keeps the OM by the family hearth and by its very nature leads to socializing and the establishment of new friendships. Taken in the overall they, just as their husbands do, find it hard to top. See if you concur in these observa­tions from these sample comments. Florida - "My husband has always had what he wants for his ham radio. He is retired and operates whenever he wants to. I do not object at any time. It has been a wonderful hobby for him. He has had an ailing heart, so I am grateful that he can enjoy this. It keeps him happy and contented." Missouri - "He enjoys his ham contacts very much. He have made many new friends, some of whom we visit. We have picnics each sum­mer with a group. Also I attend hamfests with him. We have had servicemen stop by to thank us for phone patches he ran for them. Hams are a very nice group of people. When we built our home, one ham got electrical supplies for us at cost, another did the wiring and a third helped finish the walls. To me, ham radio is not only a hobby for my husband but a wonderful way to make new friends." Washington - "I do enjoy ham radio. We have many friends in California and have wonderful times at the s.s.b. conventions." New York - "Since leisure time is at such 3. premium in our house, I must say I do resent too much time spent on the radio. On the other side of the coin, I'm very pleased that my husband has such an absorbing and enjoyable hobby, for now and for those retirement years. He's made many friendships through ham radio. There is a lot to be said for it. Some­times the odd jobs don't get done around the house, but life being short as it is - guess I'll worry less about the house and more about my husband's health and pleasure." Kansas - "My husband obtained his license at a time when all we had was 32 volt power from a wind charger. He built all his own equipment and continued studying radio. Later he passed a Civil Service exam and was hired by a government agency. So you see his profession all started with ham radio. We have made a lot of friends through ham radio. Back in the '30s we didn't have much to go on, but we had friends around that we would visit every morning or once a week via radio. Today we meet hams who notice our license plate and stop to chat with us. I would have liked a license myself except that the code was too much of a problem for me." New York - " As you see he has been operating for 32 years and that's how long we have been married. We have made some very fine friends through ham radio; some we have met and others (too far away) we hope to meet when we retire and have time to travel. I think it is a wonderful hobby for any husband, as long as he keeps within the budget and time of the family's pleasure. My husband has always been pretty considerate and I, therefore, do not have any complaints against ham radio." Wisconsin - "After a few years went by I fi­nally accepted this hobby of his as a member of the family. Now we get along fine. Recently, for the first time, he put me on the air and I received the biggest thrill of my life to talk to these operators. Now I am learning the code! My husband is real proud to take me to the hamfest they have here every so often. He is proud also to tell everyone I am learning the code. Of course, to me, it's such a thrill to meet the other hams' wives." There was one letter that came quite close to embodying in its few lines the consensus opinion of the many wives so kind to submit their thoughts, and about as fine an endorsement as one could hope for. Iowa - "I am happy to give you my opinion and reaction to my husband's ham radio ac­tivities. First of all, I want to say that he built a lot of his equipment - sometimes using 'junk.' I never cease to be amazed at his capabilities along these lines. I can't remember that I ever resented this hobby, but I do know, as the years pass, I am happier and more thankful that he has such an interesting (to him) and entertaining way to relax. I have no interest in radio except for the enjoyment he derives from it. I'm hoping it will help make his retirement years tolerable." The evidence shows that by far the majority of ham husbands do keep ham radio in proper perspective. As a result, their wives have become avid boosters, since they appreciate it as a source of needed relaxation for their husbands and, frequently, as a source of friends for themselves as well. Wives directly participating in ham doings have even a higher regard for it. For a few wives ham radio is not a blessing in the home, but often these problems work themselves out in time with the application of mutual un­derstanding and common sense on the part of the husbands. There may be too much chatter on the air about the hobby itself, but the OM who wants stimulating conversations can get them going without too much difficulty. In sum­mation, then, wives rate ham radio as the best of hobbies for their sweethearts. Fellows, be thankful for your good fortune! To each wife who returned a questionnaire, the author extends his gratitude for permitting him to put your story into words. Tnx and 88s.